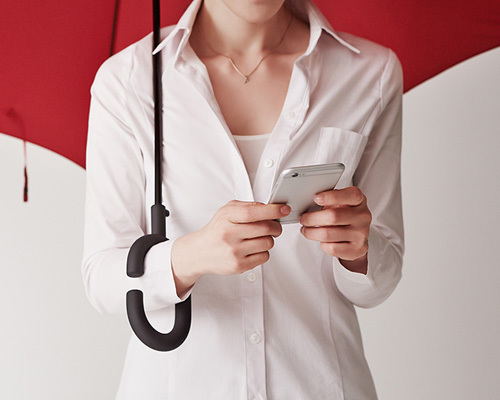 have you ever been in the unfortunate situation of not being able to text because it’s raining out? 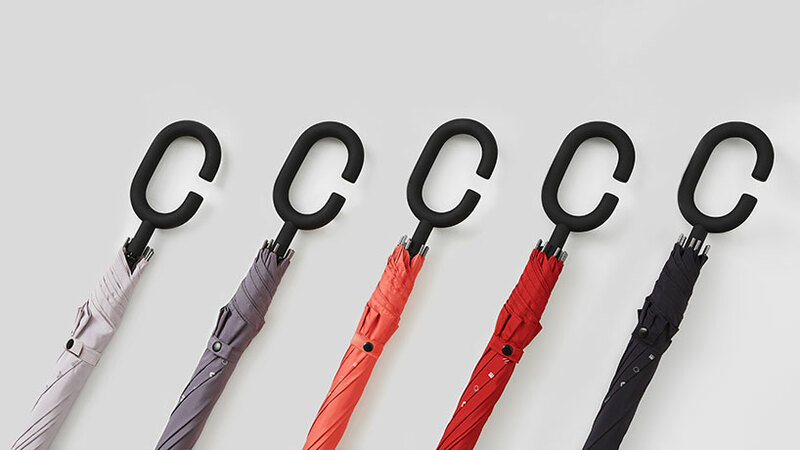 sure, you have your umbrella but the obviously incompetent individual designing it didn’t take optimize it for your compulsive phone habits. don’t worry, just write snub them with a mediocre yelp review; problem solved. thankfully, korean company kt design has swooped in to save the day. 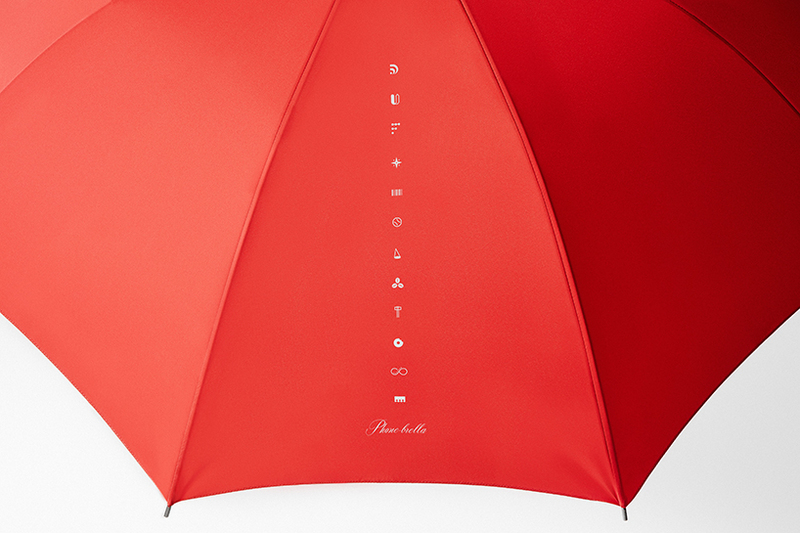 the ‘phone-brella’ isn’t just any ordinary umbrella, it’s a limited-edition gift for kt customers that ‘provides a rich mobile life experience’. 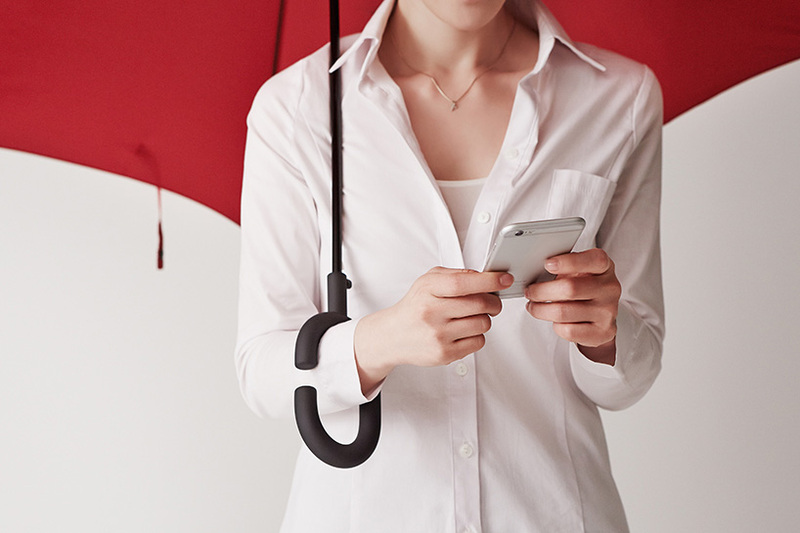 the ‘phone-brella’ features an ergonomic C-shaped handgrip that’s placed around the user’s wrist. 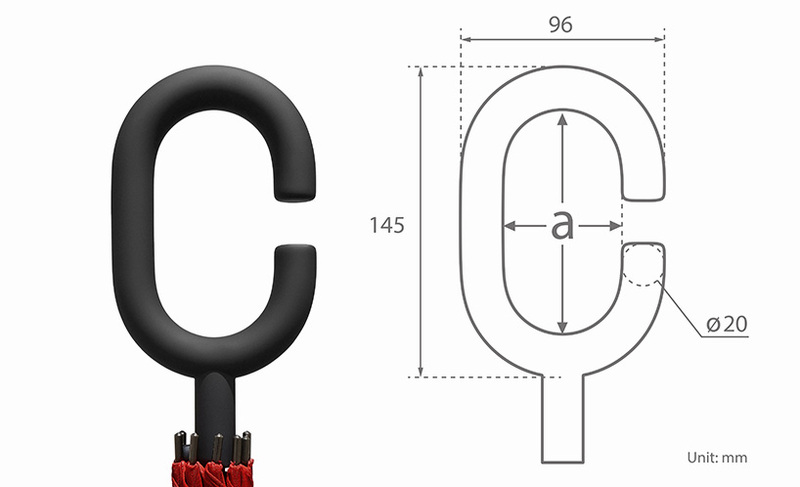 the bottom half of the C pins acts as a counter-weight, balancing the object and helping the shoulder prop it up. doing so allows for two-hand freedom that can be used for texting, surfing the web, or navigating web applications. of course, the positives don’t extend far beyond the individual actually using the product. 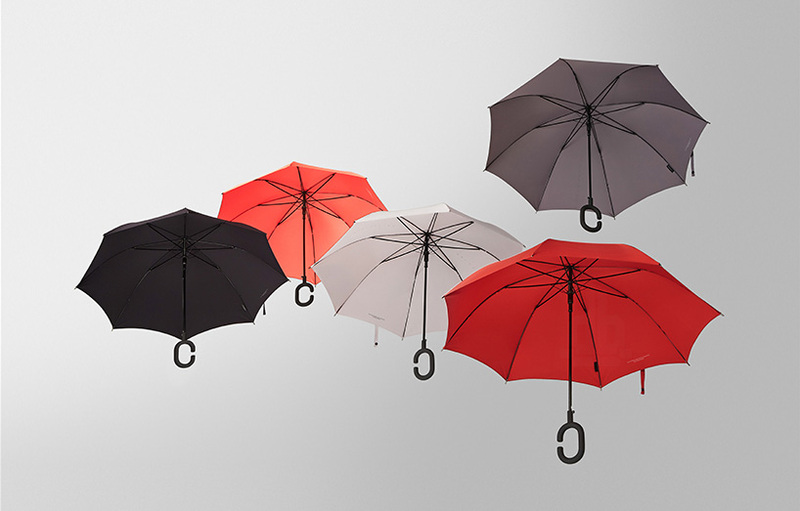 what’s worse than an inconsiderate umbrella user or an eyes-on-the-screen pedestrian? 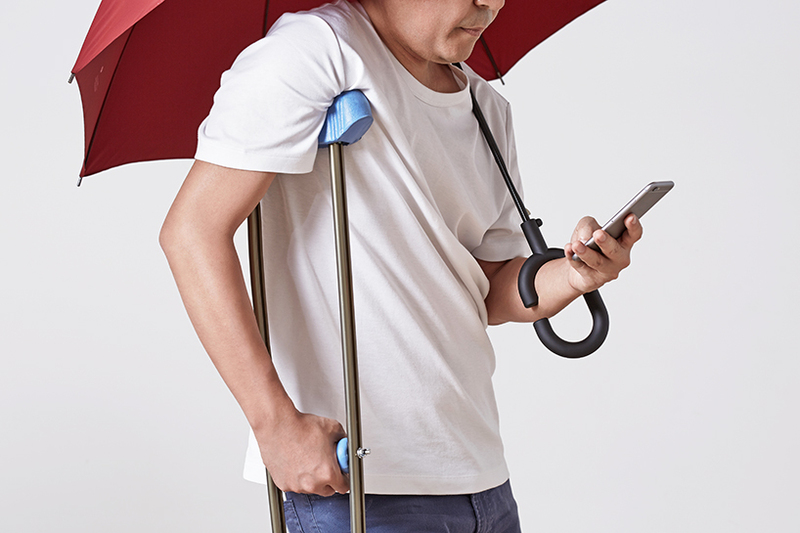 a person texting and walking with a three-foot wide umbrella halo, in the rain, not paying one bit of attention to anything happening around them. but hey, it does provide a rich mobile life experience. for more information check out the indie-love story, I mean commercial, above — maybe if he’d been paying attention to his surroundings instead of texting, he would have noticed that covered bus stop his companion was sitting under. 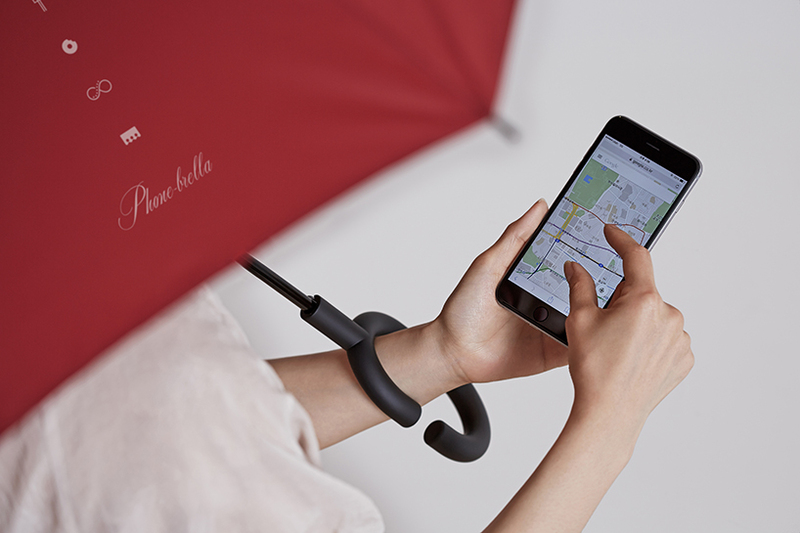 Hi, Where can I buy a Phone-brella? Thanks.